Last edited by 1998blackprelude; 03-14-2011 at 12:49 PM. Sweet. Good job man. 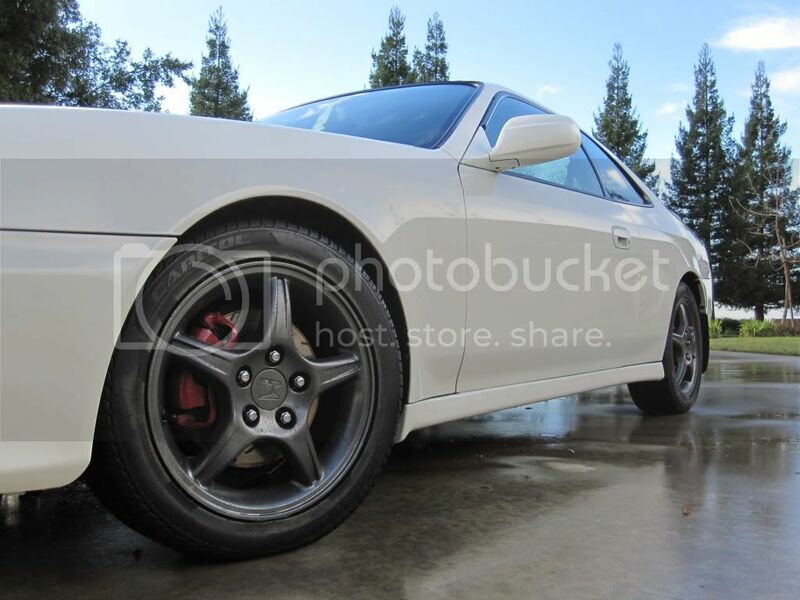 Finish those puppies and along with red calipers that'll look sik. 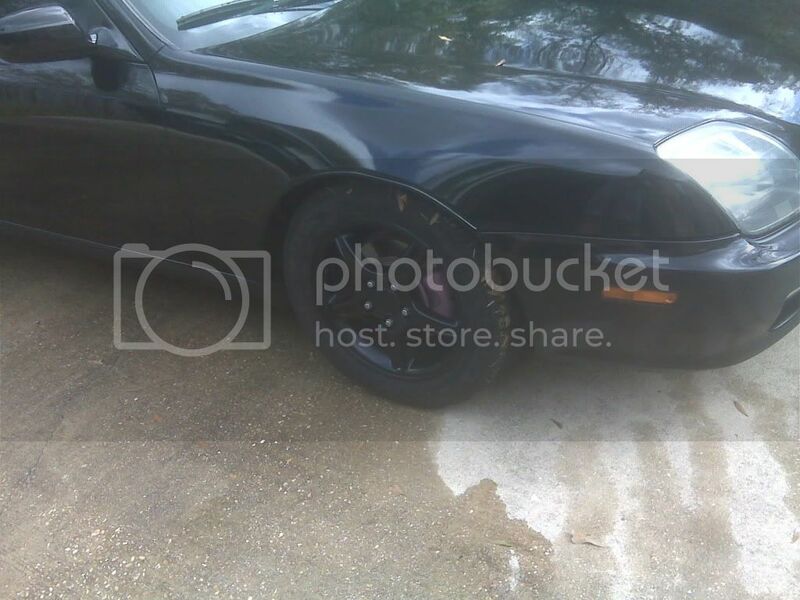 im joking i love black on black on black ..
Good job man, I did mine a hyper black for winter. It was different than just black, but now I'm back to silver. 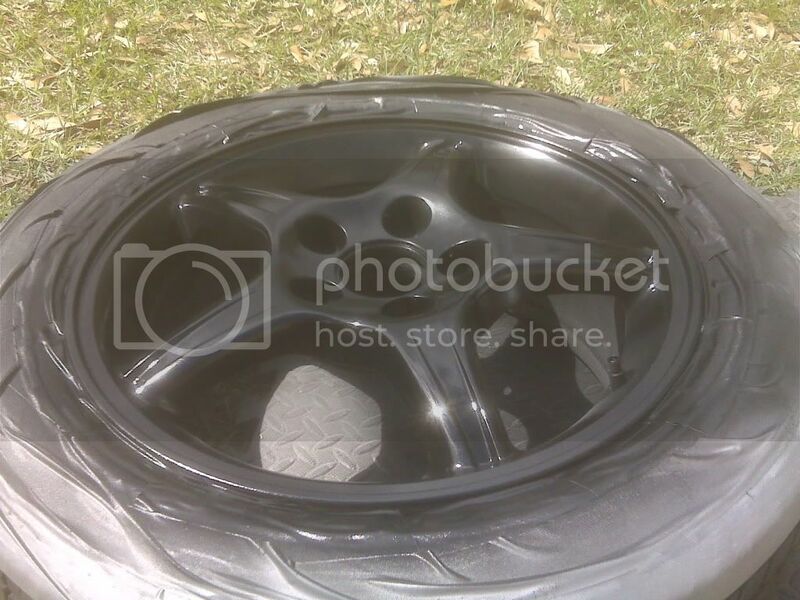 Aww boo, i wanted to see them Polished SH rims. I guess i'll tackle it as soon as this weather is a bit warmer. Good job on the painting. Is that duct tape around the tires? 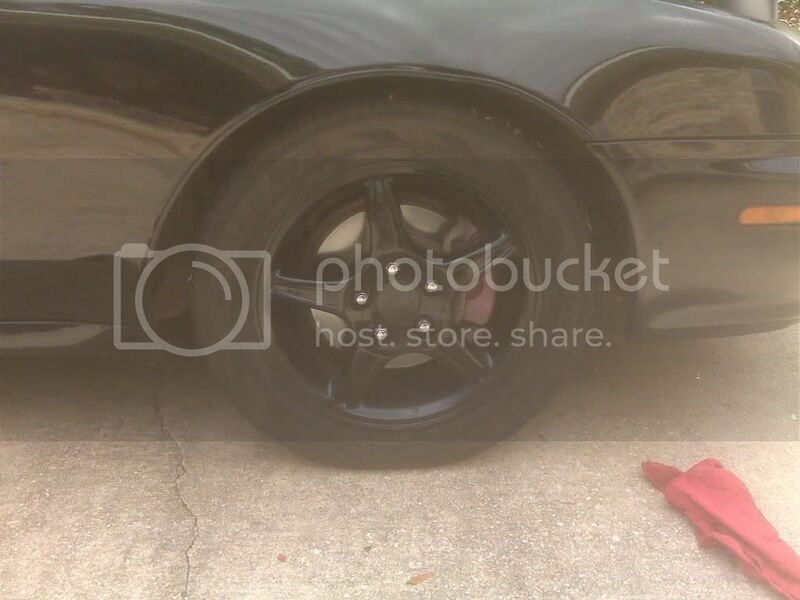 Paint the calipers black to hide them, going with the black theme. I think that would look better than the red. Just my opinion though. I have a all black lude, black leather, black tinted windows, black brakes. Im gone give the red a shot first only because I have the paint in the garage, if I dont like how it looks Ill go all black. that was my second option anyway. I was also thinking about taking the middle rim caps and doing carbon fiber on them. I knew this was going to happen, nobody ever finishes the polishing project. At least I haven't given up on mine yet. lol I wish I had the time to finish them like I wanted to. Since im in the process of buying a house, school and work its hard to jugle things. Only bad thing with me is I would have to put car on jack to get tire off and then put tire back on after I work on it that day. Doing that over and over would get old. I want to see them when its done, im interested in how it will look.